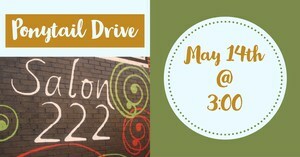 Do you have eight inches of hair you'd like to donate? A ponytail drive has been scheduled! On Monday, May 14th at 3:00 you can join other students to donate your hair to be used to make wigs for women cancer patients. Grab your friends and help make a difference together! Visit Pantene Beautiful Lengths for more information! Email Michone Coleman with questions.